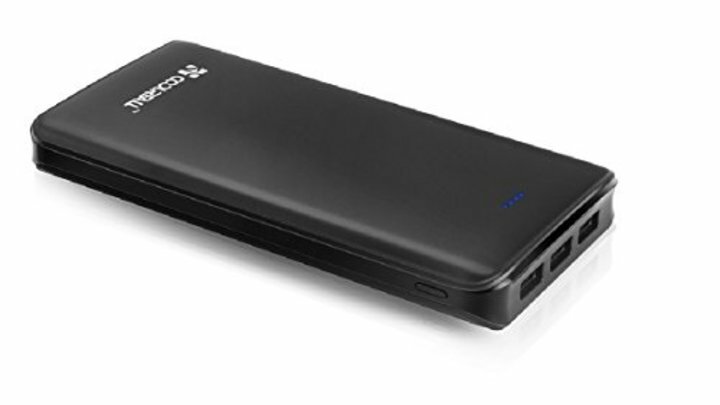 <b>Ultra High Capacity</b>: it charges the iPhone 6 seven times, the Samsung Galaxy S6 five times or the iPad mini twice. <b>Safety guarantee</b>: 5 Security systems - Equipped with over-charged, over-discharged, over-voltage, over-current and short-circuit protection. This battery pack will automatic shutdown if a short circuit or overload output occurred while unit is charging. <b>3A(MAX) Output</b>: capable of simultaneously charging 3 devices, automatically detects and delivers the optimal charging current for any connected device- ensuring the fastest and most efficient charge. <b>Unique Design</b>: Arc edge design to avoid cuts. Four LED indicator lights show you the power level and charging status. <b>Good support service</b>: A friendly customer service before and after purchasing. Any questions, please feel free to contact with us, we will respond to you as soon as possible. Ultra High Capacity: it charges the iPhone 6 seven times, the Samsung Galaxy S6 five times or the iPad mini twice. Safety guarantee: 5 Security systems - Equipped with over-charged, over-discharged, over-voltage, over-current and short-circuit protection. This battery pack will automatic shutdown if a short circuit or overload output occurred while unit is charging. 3A(MAX) Output: capable of simultaneously charging 3 devices, automatically detects and delivers the optimal charging current for any connected device- ensuring the fastest and most efficient charge. Unique Design: Arc edge design to avoid cuts. Four LED indicator lights show you the power level and charging status. Good support service: A friendly customer service before and after purchasing. Any questions, please feel free to contact with us, we will respond to you as soon as possible.